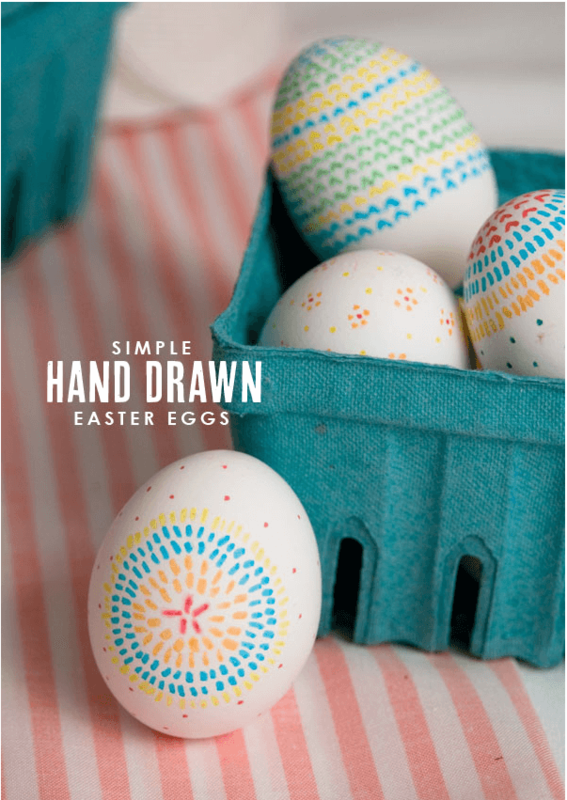 Are you looking to do something a little more special than just creating solid-colored eggs with the good ‘ole Paas kit? But at the same time you don't want to go overboard and create a 9-hour project for yourself either? 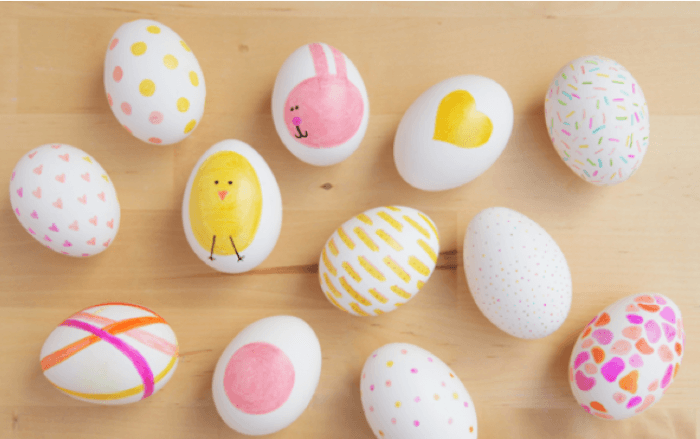 Well- I've rounded up some great posts that I found for simple Easter eggs that look awesome- but don't require a lot of mess, time, or supplies! 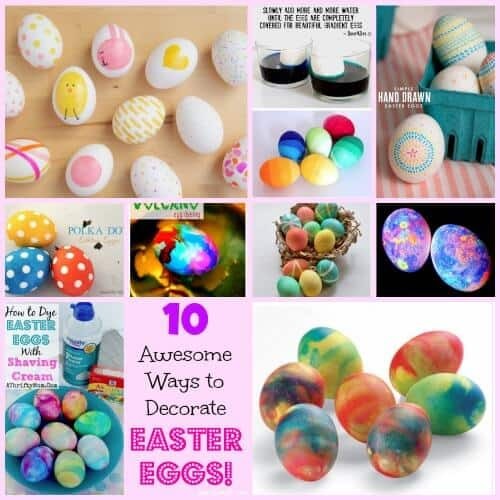 Here are 10 awesome ways to decorate Easter Eggs! 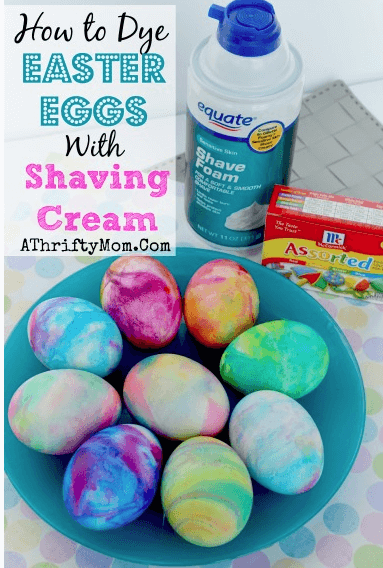 This idea works with just shaving cream (or Cool Whip) and regular liquid food coloring. You can see exactly how it's done over at A Thrifty Mom. I love this idea from Growing a Jeweled Rose! You'll need fluorescent or glow-in-the-dark paint, water, and vinegar. My kids would love this! 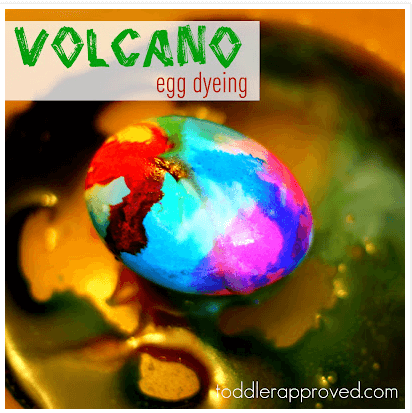 Kristina from Toddler Approved has a great idea for using vinegar and baking soda with food coloring which creates a bubbling “volcano effect” to dye the eggs! #4 Decorate Easter Eggs with Rubber Bands and Dye! 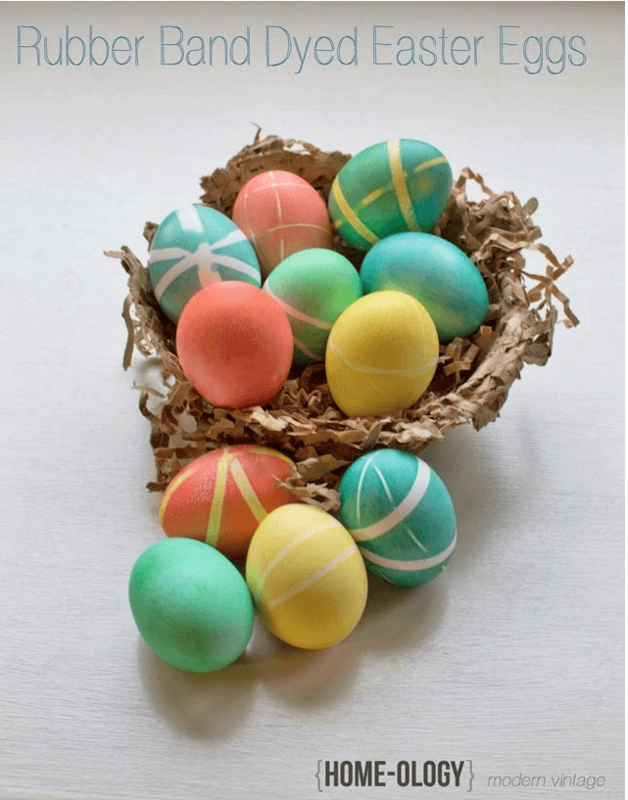 You can try this effect with any Easter egg kit or vinegar/food coloring dyeing set up you traditionally use, but before dyeing the eggs, you wrap rubber bands around them first. Courtesy of Home-Ology (site no longer operating). 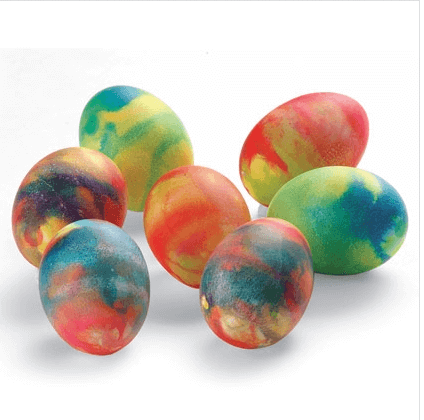 Spoonful (site no longer operating) shows us how to create tie-dyed eggs… without the tieing! It's super simple- done in a colander! 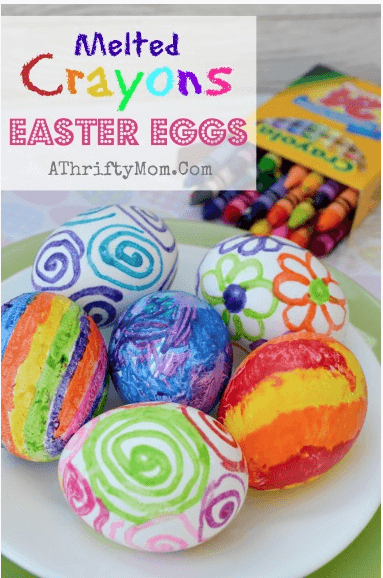 This is another great idea from A Thrifty Mom– and all you need are the eggs and crayons. This project is best for older kids because the eggs themselves are hot (which is what allows the crayons to melt). But easy and super awesome! 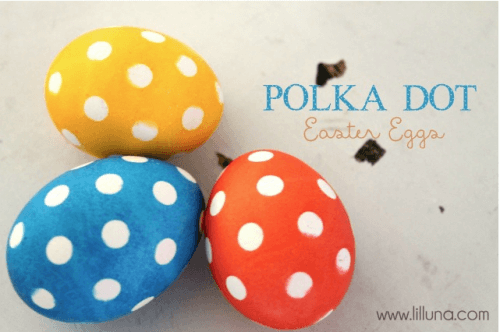 These polka dot eggs from Lil Luna are created by adding vinyl stickers to the eggs before dyeing them. 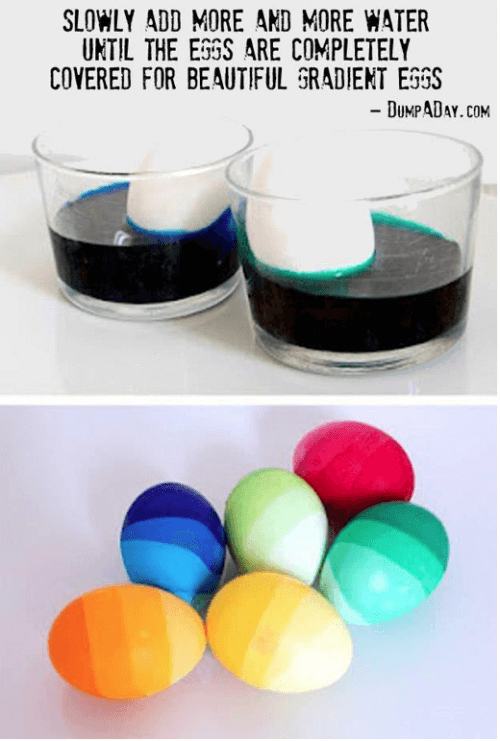 This simple trick allows you to create the Ombre effect, just by adding more water to your egg dye! From Life H4cks (site no longer operating). Sharpie to create these adorable Easter eggs! Courtesy of Mom.me. 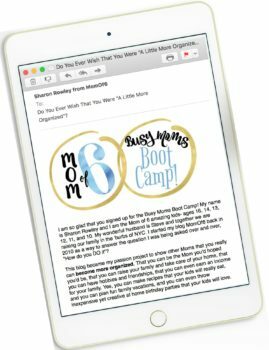 Do any of these ideas inspire you? 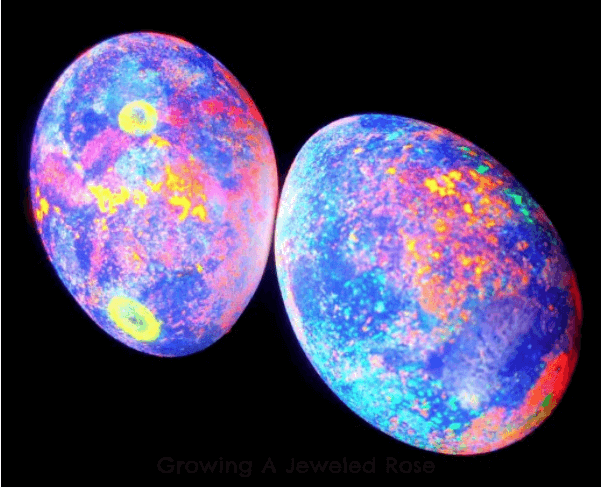 How will you be dyeing your Easter eggs this year? « Getting My Knees to Keep Up the Pace! What a lot of cool ideas, we may have to try one or two of these. From our family to yours here’s wishing you a Blessed and Happy Easter!